It was amazing and I loved meeting some of my football heroes. Pogba spoke to me and I told him to have a fair game and he laughed. 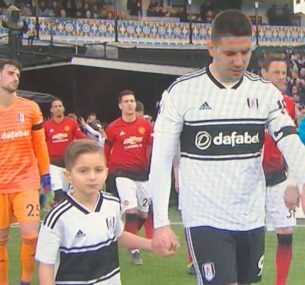 I loved walking out with Fulham as they are a good team. You guys at Children with Cancer UK are doing a great job raising money to help children like me and thank you for making me feel special. The players were really nice as they all spoke to him and said hello and “ even though they were so busy. Blue is in remission, he has an issue with his kidneys where they are very small, but they are growing now so the doctors aren’t too worried. He has just had his heart echo which is now perfectly normal, having had a problem from the treatment (chemo) in the past. Unfortunately he has had some trauma from memories and flashbacks where he had been so ill but he is seeing a physiologist who is helping him overcome these. It’s very common in these children, where so far down the line something triggers them to retract back to when they were so poorly. Blue was very scared and emotional as he kept thinking it was going to come back and he would die like so many of his friend. He has also taken up boxing and mixed martial arts to combat his fears and strengthen his muscle wastage affected by his recovery. It’s a long old road. Blue was diagnosed with acute myeloid leukaemia (AML) Mk 4 in March 2011. His symptoms were bruising on his body and nose bleeds, a sign that his platelets were low. He was blue-lighted to William Harvey Hospital in Ashford where he was found to have leukaemia. We were then transferred by paediatric ambulance to Addenbrooks in Cambridge almost 150 miles away from friends and family where it was to be diagnosed as Acute Myeloid Leukaemia MK 4, an aggressive type of blood cancer with a less than average survival rate. After 10 days we were transferred to The Royal Marsden in Sutton, where intensive chemotherapy began. Blue went into remission in August 2011 but by November 2011 it had returned more aggressively than before. Again we went into an intensive treatment programme. On February 13th 2012 it was found to be refractory and there was nothing more they could do for him so we were sent home with palliative care and I was advised to make his last few weeks as comfortable as possible. I WAS NOT GIVING UP THAT EASILY and begged to see a consultant. 10 days later we saw two doctors at The Royal Marsden. They said they had two drugs that had never been used on a child of Blues age before and it only had a 10-15% chance of working but it was highly likely the toxic treatment would kill him. I took the risk and it worked and Blue was able to go forward for a bone marrow transplant from an unknown donor in Germany seen in the photo. 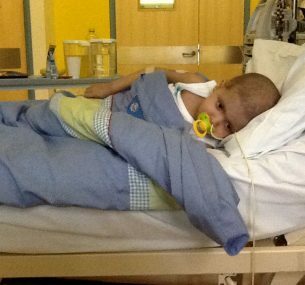 Blue had his transplant on the 10th May 2012. 28 days later Blue became extremely ill and contracted many post-transplant complications, pneumonia, tifilitis, C Diff, Ssepsis, BK virus, ulcerative Colitis , Klebsiella, severe GVHD of the gut and bowel and many more. Basically his frail body was fighting itself. 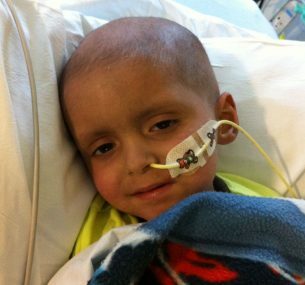 His body wasted from the intensive chemotherapy and unable to drink or eat. Blue was in intensive care continually, at one point I was told they didn’t think he would make the morning so I asked for a priest. 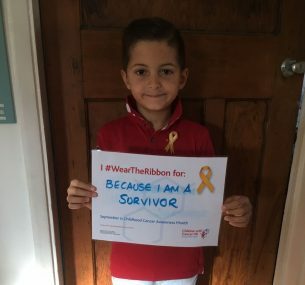 Blue was a fighter and after an horrendous time fighting complications after transplant (far too many to list ) he finally left hospital in July 2013 after having spent two years and four months, two birthdays and two Christmas’ in isolation. Blue was finally declared “medically cured” in May 2017, five years to the day of his transplant. 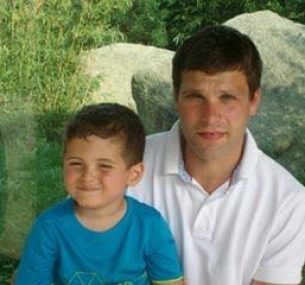 The Royal Marsden have declared him “their miracle” and one of the doctors said in 25 years of medicine and haematology, he had never seen anyone with such a bad cancer go through to a cure. The drugs Cyclophosphamide and Etoposide are now regularly used on children due to Blue’s bravery and have gone on to save many more lives.